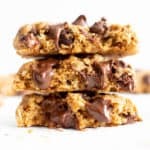 No Bake Oatmeal Raisin Granola Bars (V+GF): Soft and chewy granola bars that taste just like an oatmeal raisin cookie. An easy Vegan and Gluten Free recipe made with whole ingredients. Oh life, how did we get here? 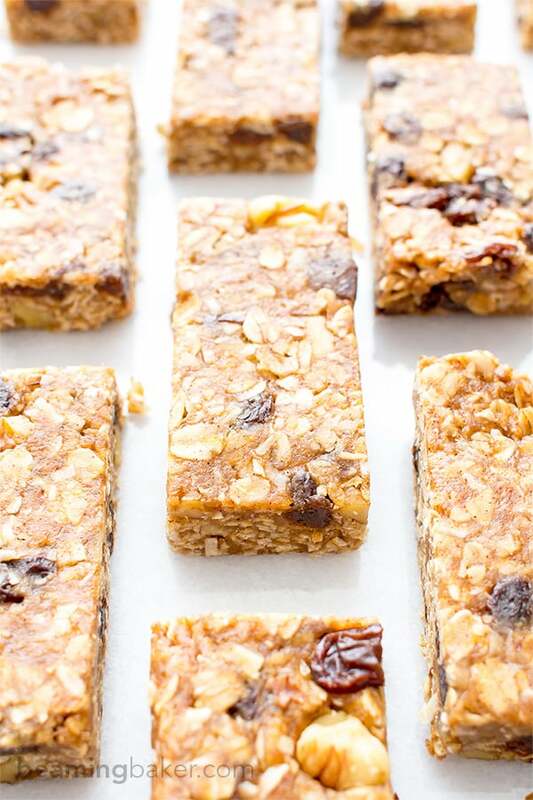 What culinary sorcery has led to these No Bake Oatmeal Raisin Granola Bars? 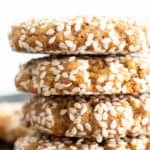 Confession time: When I was a little kid, I thought oatmeal raisin cookies were made to trick us kids into eating healthy foods. In my young mind, these cookies were the equivalent of spinach muffins or, worse… carrot cake. Just–I know, I know, I was also wrong about the carrot cake. But, come on! If the word “carrot” was in there, how could it be a real dessert? 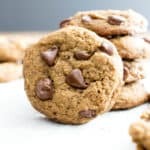 Anyway, it was during elementary school field trips that I was forced to encounter these so-called trick cookies. The teachers would get all of us kids lined up in a row, then point us towards a huge spread of semi-mysterious, crinkly brown paper bags that we were to choose from. Guuuurl, those were the un-fun bags. The kind adults wanted to pick. Well, one fateful day, I got stuck with one of these Healthy But Totally Gross lunch bags. Sighing, but dutifully resigned, I sat down with one of these bags, pushed my sleeves up and wiped my fingers over my glasses to clear them out. After all, this was business. Healthy, non-fun business. I ate the sando, because, well, what choice did I really have? I munched on the apple chips… which were surprisingly good (make that Item #3 on the list of Foods I Was Wrong About). And then, it was time for The Oatmeal Cookie. As I peeled the wax paper sleeve open, I caught a big whiff of something homey, something sweet. The cookie stared at me. And I stared at the cookie. I thought, why not? Kids like me were supposed to go on adventures and take big risks. What bigger risk could I take than to eat this trick cookie? Well, I knew better now. 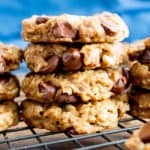 When you bite into one of these no bake oatmeal raisin granola bars, you’ll know immediately how incredibly wrong I was about those oatmeal raisin cookies. In fact, you probably already knew that, you smart cookie, you. Now, don’t tell any of the kids in your vicinity, but *whispers* I actually made this guy nice and healthy. But, shhhh! Let’s not scare them off! After all, it’s our duty as adults to trick them into eating better. Right? 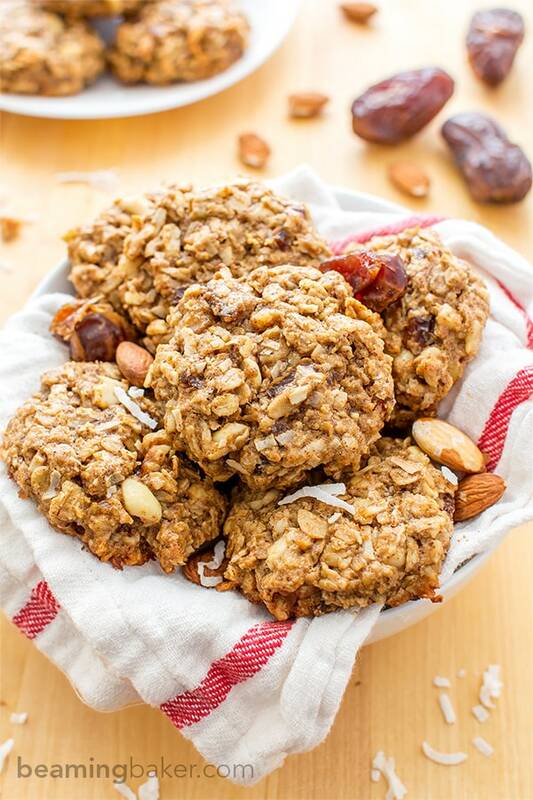 If you already love oatmeal raisin cookies, you’re probably already drooling over these. 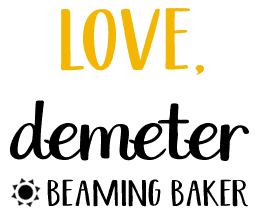 If you’re like the little beaming baker, prepare to be blown away. After all, who doesn’t need a bit of culinary adventure in their lives? In a large bowl, whisk together all of the dry ingredients: oats, flour, coconut, cinnamon and salt. 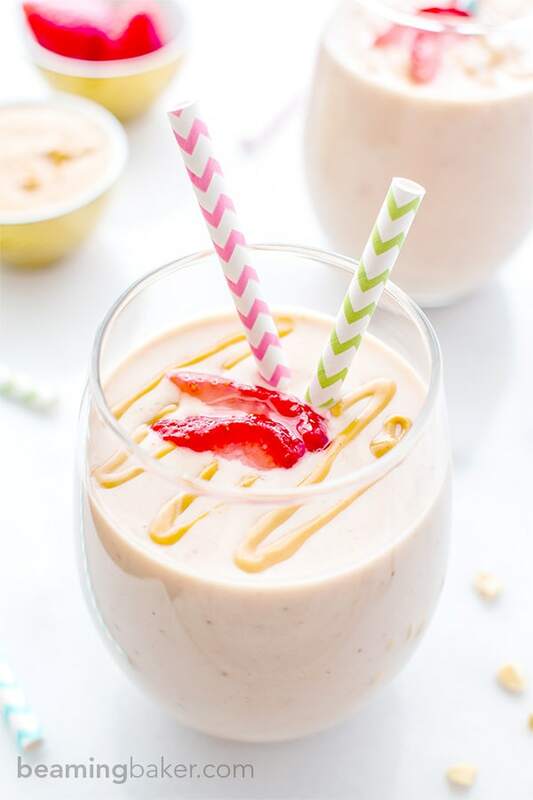 In a medium bowl, whisk together all of the wet ingredients: flax eggs, coconut oil, nut butter, maple syrup and vanilla. Whisk until smooth. Pour the wet mixture over the dry mixture. Use a rubber spatula or wooden spoon to fold the ingredients together until well combined. Fold in raisins and walnuts. Pour into the prepared baking pan. 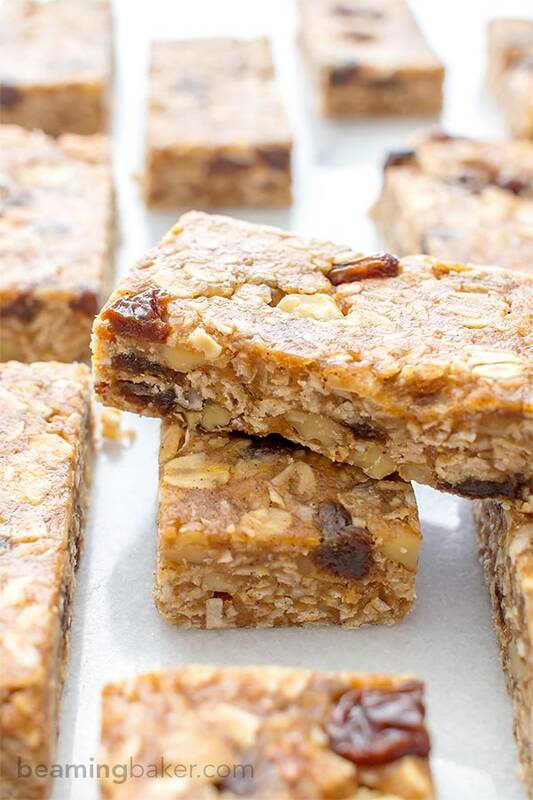 Spread granola bar mixture into an even layer, pressing down until tightly packed and smooth. Place baking pan in freezer for 15-20 minutes, or in the refrigerator for 1 hour. Remove from the freezer/refrigerator. Grab the paper liner and lift the bars out of the baking pan. Set onto an even surface and slice into 18 bars. Enjoy! - Storing at room temperature: These bars will be slightly soft, but still firm at room temperature. If you’re bringing these as a snack, make sure to store them in a hard container, like a Tupperware. 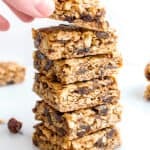 If you enjoy the ingredients in these no bake oatmeal raisin granola bars, you just might love my Good Morning Breakfast Cookies (Vegan + Gluten Free). 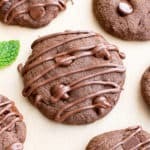 What food did you dislike as a kid, but find yourself enjoying as an adult? 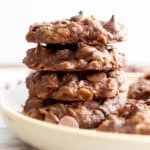 You had me at no bake! 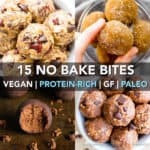 I am not a good baker, so this is right up my alley! 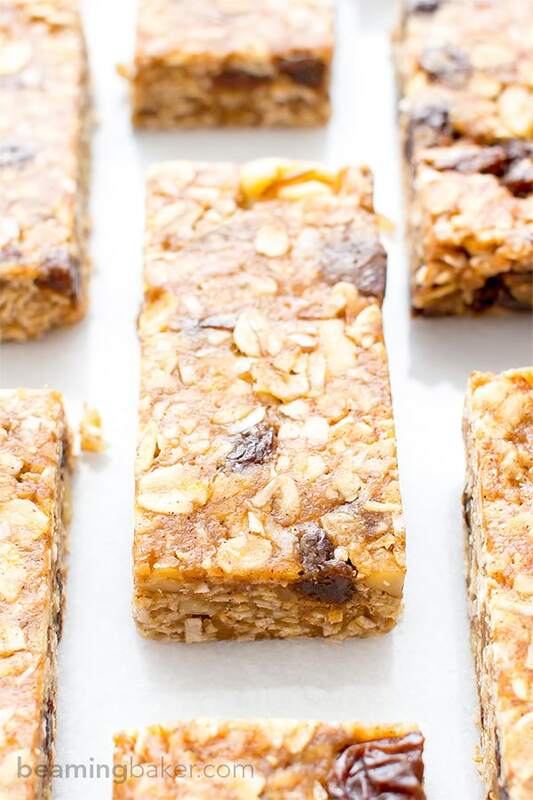 I love granola bars, but the store bought kind can not compare to homemade. 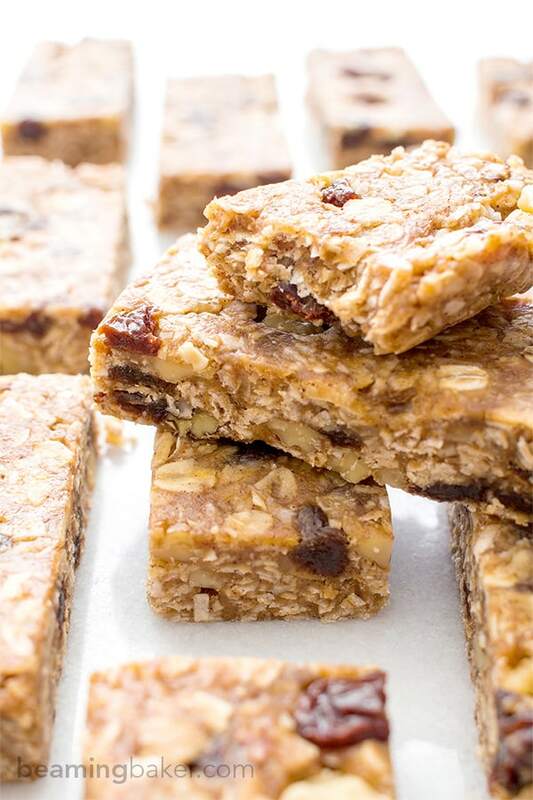 The addition of raisins sounds delicious, but the best part is that you made it CHEWY! Who wants a hard granola bar? LOVE THIS! Oh, haha. But I seriously doubt that you’re not a good baker. Come on, Amanda! 😉 So true on the chewy factor. Thanks so much for stopping by! Could I sub in sunflower butter instead of almond or peanut butter? My girls aren’t allowed to habe any nuts/nut butters at school. Hi Elisa, sunflower butter should work. I’ve never tried it myself, but this recipe is somewhat flexible. After you’ve made the batter, if it’s too dry, you can add in more sunflower butter or maple syrup. Let me know how it turns out! Thanks for stopping by! 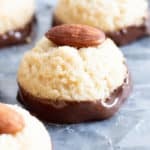 I made these and they are very good but I am concerned about the raw eggs in this recipe? I apologize but I am not familiar with flax eggs I used 2 eggs wisked together with the ground flax and warm water -is that not the same thing? You can be I will be making these for our camping trip this weekend! Hi Ali, I’d recommend making a batch with less sweetener and more nut butter. You can try those out and see how you like the taste and texture. If that works, you can try making another batch with even less sweetener and more nut butter. Test until the recipe fits your liking. 😉 Hope this helps! These are a HUGE hit with my 3 yr old! I subbed maple syrup for the honey (reduced quantity slightly) and quick oats for the oat flour. Deeeeelicious. They freeze really well too. That’s when you know it’s good–it’s kid-tested and approved! 😉 I’m so happy your little one enjoyed this, Holly. Thank you so much for taking the time to let me know about your substitutes and awesome feedback! 🙂 Now I’ve got to try them frozen! SO. good. I used whole flake coconut and cranberries. I sprinkled them with sesame seed and hemp seeds. 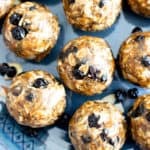 A not too sweet treat and will be good for breakfast on the go with fruit. I omitted the flax eggs and replaced the coconut oil with an extra 1/4 cup peanut butter. They were awesome!! Oh yum!! That extra peanut butter must’ve given it a tasty kick! Thanks for sharing your sub notes. 😉 Enjoy! Making some of these right now!!! I’m afraid I’ve always been a big eater. But as a child i disliked only Celery and seafood in shells!!! I will now eat celery in recipes (chopped finely) but the shellfish is still yukky!! Haha isn’t it funny how we decide what things we do and don’t like as kids? ???? Hope you’re enjoying the bars Rebecca, thanks for stopping by!